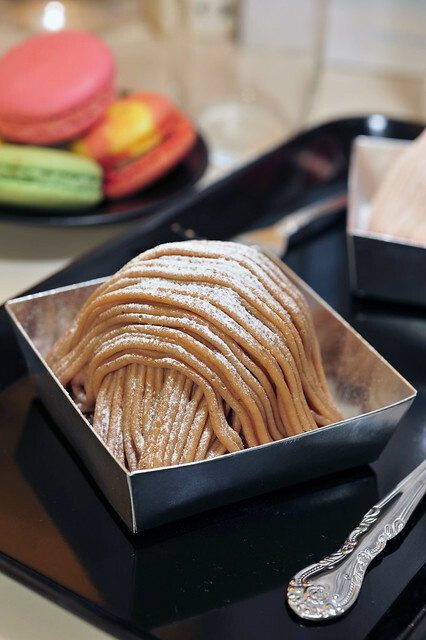 Then there’s “Berries Mont Blanc”, Pâtisserie Factory Shin’s own creation. A thick slab of joconde almond sponge base with a whole strawberry sitting in the middle, in place of marron glacé, glazed with strawberry coulis and then piped over with custard cream infused with a bit of kirsch. 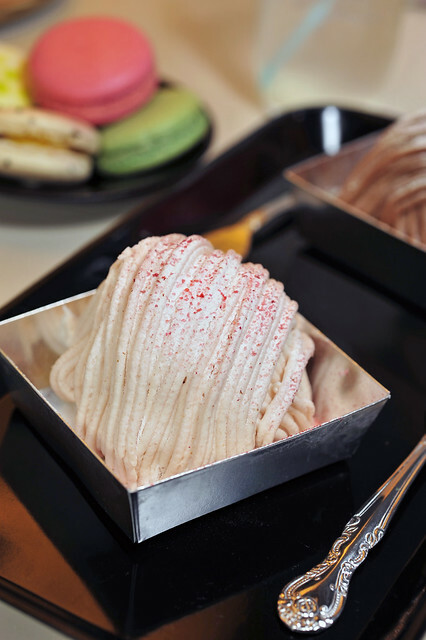 Finally the whole dessert is covered in the same manner as the marron mont blanc with strawberry-flavoured chantilly cream and topped with pink sprinkles. This scored slightly better than its marron mont blanc counterpart, with the whole strawberry at its core being the saviour. Subtle hints of sourness helped to break the monotony of the otherwise very sweet layers of cream. Very soft and creamy yes, but i felt that the dessert lacks textural and palatal layering which made it rather boring. 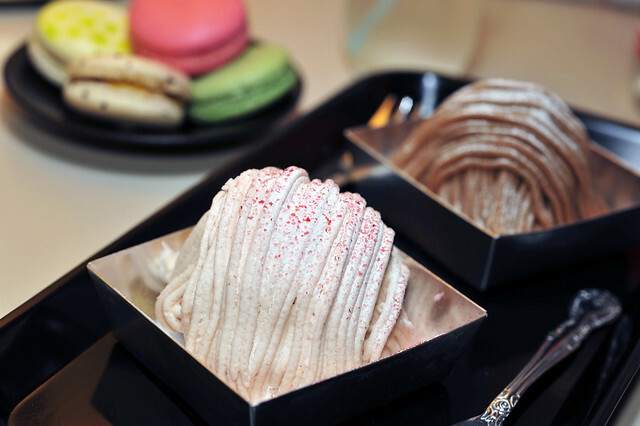 Pretty yes, but these mont blancs from Pâtisserie Factory Shin didn’t work for us unfortunately. Perhaps we had one desserts too many that day. Perhaps Mont blancs aint exactly their forte. Or perhaps the pastry chef was in a bad mood that day. Hope you would have better luck at Pâtisserie Factory Shin than we did. This entry was posted on April 22, 2011 by Alan (travellingfoodies). 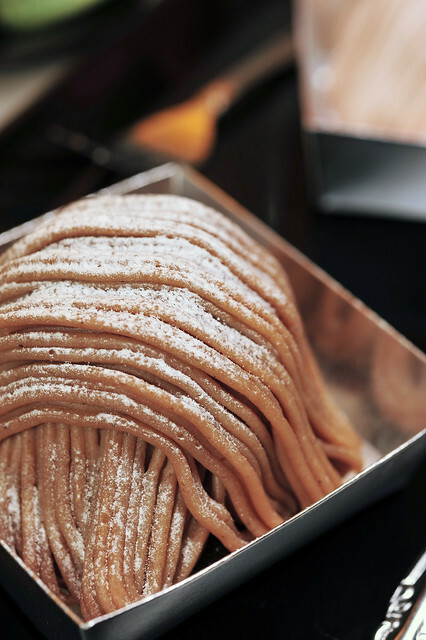 It was filed under Food, Travel and was tagged with berry mont blanc, chestnut cream, chestnut puree, confection, Japan, kansai, kix, mont blanc, osaka, Pastisserie, pastry, patissier, Shin Factory, 大阪, 日本. 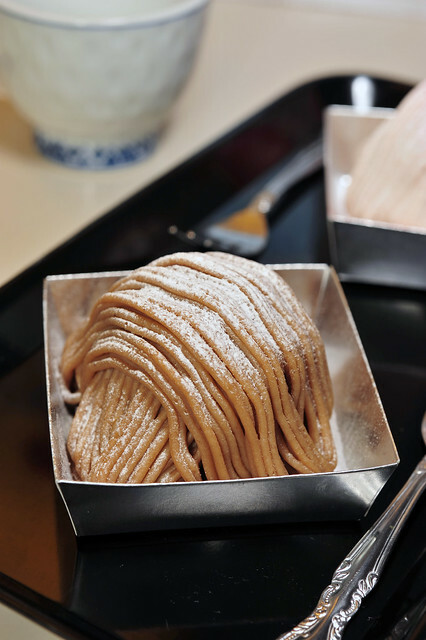 despite the marron creme like what you said, i think i would still prefer the traditional one cos i think chestnut puree is so delicious!oh alan, i wish i cld just eat all these desserts! any more desserts coming up after this? is that the taste expiry date that you mentioned earlier? 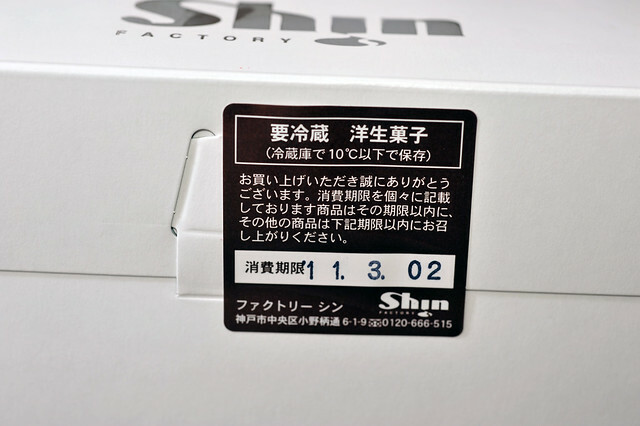 yes, that’s the sticker they would paste on the box to remind customers of the expiry dates of their purchases. Great clicks!I can never take great travel food photos like these.. what can I say? Everything is nice in the Depachika in Japan! thanks shirley! indeed! depachika is really fantastic! i especially love their “after-8” offers!